Hero MotoCorp, with it’s technology sharing agreement with Honda ending soon, took the opportunity at this Auto Expo to showcase their research and development capabilities to the world. 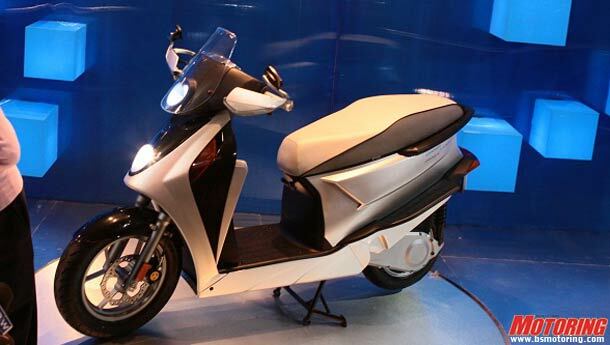 This R&D department, set-up at Gurgaon and Dharuhera, brought us a hybrid scooter concept called the Leap. The name signifies advancements in technology, not just for Hero MotoCorp, but for the whole industry, they say. The Leap is a hybrid scooter powered by a petrol engine and to supplement that an electric motor is also present. To power the electric motor, there is a more powerful battery on it. The Leap incorporates youthful styling and new technology that has never been seen before. In fact, Hero MotoCorp has applied for three international technology patents and nine international design registrations. We’re expecting big things to come out of that R&D center in the near future.